Algorithm ideas for a roguelike effect on a maze? EDIT: on retrospect, there's no reason for these structs to be abstract. Each of the predefined MazeElements can just be instances of the struct rather than extending it. Obviously there would be some bonuses to extending, but I don't think its worth the headache...? Last edited by Yrth : 11-23-2013 at 11:42 PM. In general, this is a very complex problem, but the specifics of your map might make it doable. While this genre of the map is called a "maze", I assume you don't really want it to be a maze, that is, a heavily branching path with a lot of dead ends. Rather, you want it to be an obstacle course, a linear path assembled out of random obstacles. The goal is to have a randomly assembled winding path that fills up the available space as much as possible. In this case, the task can be broken down somewhat: you can first lay out the course of the path on a grid, then fit maze elements on top of this path. This can still be a pretty complicated algorithm. The simplest solution I can think of would be to check every possible element (or at least every element with an appropriate difficulty/theme) whether its layout matches the layout of the path from the current position onward; once a list of elements that can fit is assembled, an element is chosen at random, with possible probability modifiers that make more suitable elements more likely (such as the ones with the best difficulty fit, ones that haven't been used before, longer ones, or ones that fit better with the previous element). Even with probability modifiers, this approach would likely mostly ignore larger maze elements because they are much less likely to fit the path than a simple 1x1 element. A 1x1 element only moves the current position forward by 1 grid space so that's not by itself a problem but a 2x1 element moves forward by 2 spaces which can cause an algorithm to miss one of the rare spaces where a larger 3x2 element could have fitted. One possible improvement of such an algorithm would therefore be, when inserting a medium-sized maze element, to check if any of the covered path positions could instead fit a larger element and if so, use a shorter element. Another possible way to increase the likelihood of a larger element being used would be to not require a perfect fit. As long as the path enters an exits the element's area at the right points, it doesn't matter how it winds through the area of the element (the only possible problem you'd need to check for would be if the path leaves some parts of the element uncovered and then later strays into that area again). It's always safe to shorten the path, so even if it strays out of the area of the element being considered, that element can still be used if the path later returns to the area and exits it at the element's exit point. You can also increase the likelihood of larger elements being used by making more of them, like multiple variations of the same element with different exit points. In practice, you are probably unlikely to make elements larger than 3*3 or 4*2, most will probably be x*1. Thanks for such a thorough reply, Anitarf. it is linear only in that there exists a path from the start to the end. i would much rather not constrain it to being necessarily a single path -- the data structure that resembles a level most is much more a Graph with sets of nodes and edges instead of a list with a set of one-in, one-out nodes. but this is not so much a requirement as a "wouldn't it be awesome if..."
The goal is to have a randomly assembled winding path that fills up the available space as much as possible. In this case, the task can be broken down somewhat: you can first lay out the course of the path on a grid, then fit maze elements on top of this path. each element will have specific points on it where it "makes sense" that it can join other elements -- represented as blue squares in the black rectangles. this color is kinda a pseudo color: for all other intents and purposes it is black. for now, because it is simpler to do so, all transition points are equal. in the actual code though, this will be further defined by whether or not the point is an exit, entrance, or both. all transition points, for now, can be assumed to be both for simplicities sake. The reason I assumed a non-branching path is because that's what most maze maps are like, they are not really mazes but obstacle courses. Making this assumption also simplifies the problem somewhat. I'm not really sure how I'd approach an actual problem of assembling a real maze... it seems like a kind of problem that should have a lot of literature already written about it, though, so maybe you could find and study that. If you don't feel like going all academic on the problem then I suggest you simplify it. It's also always possible to substitute clever algorithms with brute force; just randomly assemble stuff until you get something that meets some criteria; the problem here is that, if your success rate is low enough, you run the risk of randomly getting an absurd load time as the dumb algorithm may end up having to crunch through thousands of mazes to get one that works. Even then, there's not much guarantee that it works well. That's another thing to consider: is the end result actually what you want from the gameplay perspective? Wouldn't it be frustrating for the players to dodge a difficult wisp wheel only to discover the path they were following was a dead end? I can understand the appeal of making it an actual maze, though, because it benefits the most from having randomly assembled levels. Still, even with that synergy, would a maze actually be more fun to play than an obstacle course? do you still play / program for wc3 at all? they are way bigger than you imagined, but i don't think you're giving enough credit to just how much more flexible having a wide range of exits / entrances is. but if you need further convincing, i can completely eliminate the problem by altering the initial path algorithm. as you said a path from point a to point b consisting of 1x1 squares might be the best way to go. should i require this path to place (10 + rand(0, 10)) 1x1's before turning then suddenly the path will become much friendlier to your idea of a "clever" algorithm to weight the random selection of elements. do you have any idea of in game limits and where i will be pushing these things? i can avoid duplication of the "what does its terrain look like" array but everything else will have to have a local copy because any static alternative seems truly awful. I remember that all objects (or are they called handles?) leak unless you specifically set them to null. are wc3 arrays an object? The event for "when a unit enters a rect" -- does that actually just have a full list of all rects with this event attached to them and then periodically check to see what units are newly inside of them? does wc3 have multiple threads? how are all clients kept to the same thread(s) (the host im guessing)? Is there anyway to directly access the data structure representing the terrain of a map? (this is a big one) say i define a struct that will serve as a template for maze elements and it has as a member variable some code. this code will be run whenever a player is within that element, how that happens doesn't matter. when i create a new instance of that struct will it duplicate the code variable as i would expect or instead provide a reference to the original? yeah, very true -- i'm taking each of these concerns as they come (dead ends will have a reward that will be 2nd only to beating the level... specifics tbd) so if you think of any other big obstacles to fun-ness please bring them up. I'm not sure how relevant this might be to you, but I relatively recently implemented a maze generator in WC3. The gist of it is that you take a start point and then walk away from it, choosing the next block to go to based on some criteria. This way, the maze is guaranteed to be traversable, and all you need to do is pick a sufficiently far-away block that has walls on all sides as the "exit". Means you don't have to worry about randomness making the maze uncompletable, and you can weight the algorithm to produce less branches so you can focus on the one long winding route with only a few diversions. It's a bit odd to get your head around, but I followed the Python code example in that link and it worked out all right for me. Not sure what you mean by that. In WC3, arrays are static as declared in the script, you can't dynamically allocate them like objects. It seems to work that way, yes. There is a native function that lets you read the terrain type at the given coordinates, yes. You can't declare code arrays, so you can't have code members in structs (since vJass structs are array-based). You can use function interfaces instead, which are references. Hi RDZ, thanks for replying! Unfortunately a lot of the reason it works so well is that it makes the assumption that each tile that it places is the same size, and thus can be simplified to being a 1x1 square. All bets are off when what youre actually dealing with comes in different flavors. I've thought a lot about whether or not I could follow the same general algorithm as a 1x1 maze generator and I still haven't decided really. Since each "tile" would be a rectangle of different size, choosing a neighbor may be rather rough. on top of that, even though it is designed to be fully connected and reach from start to exit, in order to effectively create a main branch you would need to define a heuristic that effectively picks a next neighbor based on close-ness to exit most of the time. But than that will (of course) generate plenty of random "bugs" so instead you would have to give each possible tile a flag for whether or not its part of the main branch. but at that point, the algorithm is no longer "The Growing Tree" but is now "The Frankenstein Growing Tree"
does wc3 run multiple threads at once? What, you can't make code arrays? was that on purpose? in my case how would this work? However the actual contents of Start, Pause, Unpause will be different from example to example. or alternatively, can you place code into a global hashmap [primary key being the maze element, secondary key being 0:start, 1:pause, 2:unpause] and get / run it from that? I don't think they leak but Ani probably knows better than me. I think it was something to do with patch 1.24 fixing the return bug I2Code or Code2I bug that allowed access outside the VM or something. You can use function interfaces with arguments as well. Check out the readme for more information. You could also use interfaces but then you'd need a different struct for each Maze. You can check them out in the readme too if you want. Last edited by Fledermaus : 11-27-2013 at 08:33 PM. Hi Fledermaus, thank you for the reply! so at that point is there really any benefit to doing it this way? the options currently are extending the struct vs passing in this weird lambda - but totally not actually lambda thing? from an OOP POV, what is better? An abstract struct or an interface that includes all the relevant parameters and stub methods to represent all wanted call back methods. 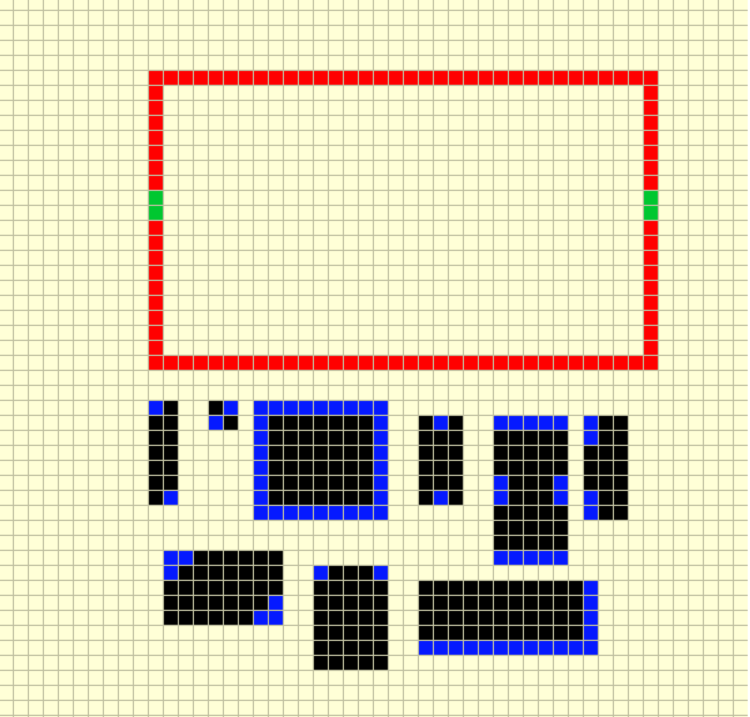 from there every maze element will extend that abstract struct / interface and be stored and referenced as that type. they will each override the stub methods however they want. Last edited by Fledermaus : 11-27-2013 at 10:53 PM. It doesn't really matter whether you extend an interface (or a struct with stub methods) or whether you use function interfaces. I suppose the function interface way is a bit more dynamic since all your elements are the same type so you can more easily create and copy them, as opposed to them each being a separate static type that extends the main interface. Since you need to be able to dynamically allocate new instances of the elements as you build the maze, the function interface solution is probably better, although regular interfaces also allow you to create any of its subtypes provided all the subtype create methods take the same parameters. you could also make the actual instances of the elements in the maze a separate struct that then references the interface. In short, the approaches are pretty much interchangeable so which one you use usually depends mostly on your coding style.